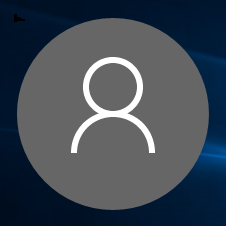 This tutorial will show you how to enable or disable the sign-in screen background image for all users in Windows 10. You must be signed in as an administrator to be able to enable or disable the sign-in screen background image. If you enable the sign-in screen background image, then the Hero wallpaper will be used as the background on the sign-in screen. When a user selects a color, it will only change the accent color on their sign in screen. If you disable the sign-in screen background image, then a solid color will be used as the background on the sign-in screen. When a user selects a color, it will change the background color with a slightly lighter accent color on their sign-in screen. The Show lock screen background picture on the sign-in screen option on the Lock screen settings page will be removed. The .reg files below will add and change DWORD value in the registry key below. 8. Users will see the change the next time they sign out or sign in. Thanks so much! This was great and super helpful, that new login is the worst. Hello mintyfruitscake, and welcome to Ten Forums. fantastic. I was looking for a way to get rid of that ugly wallpaper. thank you! Is there a way to change the colour of the background to be black instead of blue? Yes, there sure is. When you use the tutorial below to change your color, use the note box under step 5D to adjust the "Brightness" color mixer slider to the far left to make it black, and save. Is there a way to put a custom image? instead of a Solid Color?